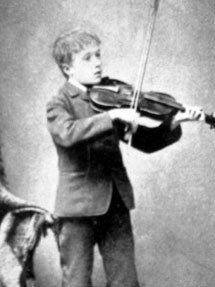 Gustav Holst was born on 21 September 1874 in Cheltenham, England, the first of two children to Adolph and Clara von Holst. Adolph was an accomplished pianist who taught piano and practiced many hours during the day, much to the neglect of his wife, Clara, and their two children. Adolph's family was of Swedish origin. One of his ancestors served as a court composer in Russia until he fell out of favor and exiled to Germany. Soon afterwards, the family emigrated to England. 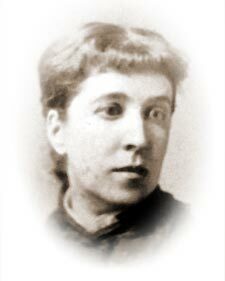 Holst's mother, Clara, was a piano student of Adolph when first they met. Clara's great - great grandmother was from Spain, where she had been an actress. She was soon married to an Irishman and moved to Ireland. Clara was sweet, gentle and unassuming but she was not very strong. She died soon after the birth of her second child, when Gustav was only eight. Adolph's sister, Nina, was brought in to look after the children, but unfortunately she, too, was distracted by the piano. In her youth, Nina had spread petals in the path of Liszt. Gustav was an oversensitive and somewhat miserable child. His eyes were weak, but no one realized that he had to wear spectacles. His chest was also weak, and again no one bothered much with his asthma. He had to rest while climbing stairs. In his youth, Gustav hated practicing the violin, but enjoyed the piano, which he had began to practice as soon as his fingers could reach the keyboard. In 1885, Adolph married another one of his students, Mary Thorley Stone, and Gustav was sent to Cheltenham Grammar School. His father was determined to make young Gustav a good pianist, but even in his youth Holst was troubled with neuritis in his hands. That made his long hours of practice a severe strain. As he grew older, Gustav tried his hand at composition, but failed to gain scholarships to the Royal College of Music and various other colleges in London. Holst obtained his first professional engagement in 1893, where he served as an organist at Wick Rissington, a small Cotswold village. Soon afterwards he also became organist and choirmaster of the choral society at Bourton-on-the-Water. These early experiences helped the young composer grow in his understanding of the workings of a choir. Choral music and the choral tradition in England would remain important throughout the rest of Holst's life. Inspired by the music of Arthur Sullivan, in 1892 Holst composed a two-act operetta, called Lansdown Castle, which was produced at the Cheltenham Corn Exchange the following year. Although the music was could not escape the influence of Sullivan, the performance was a great success with the critics and the audience. Adolph was sufficiently impressed to borrow money to send Gustav to the Royal College of Music under regular admission. At the College, Holst studied composition with Charles Stanford. Although he often disagreed with Stanford's opinions, Holst was always grateful to him, especially for teaching him how to become his own critic. A year before attending the Royal College of Music, Gustav heard Richard Wagner's Götterdämmerung under Gustav Mahler at the Covent Garden. He was overwhelmed by the lush sonorities. Reinforced by the friendship of a fellow student at the College, Fritz Hart, Gustav became an ardent Wagner enthusiast. Once after hearing Tristan and Isolde in the gallery, he walked all night through the streets of London with his mind in a whirl. Another overwhelming experience was hearing the Bach Mass in B Minor at the Three Choirs Festival in Worchester in 1893. He was so taken aback by the choruses that he felt as if he was floating about the crowds. It was one of the few memorable musical events in his young life thus far. The cramping neuritis in his right hand was perpetually defeating him as a keyboardist. Prolonged practice was impossible and he was forced to realize that he could not keep up his technique any longer. Holst therefore decided to take up the trombone. It would allow him to play in orchestras and provide him with an income. Also, the experience would be useful to him as a composer. Perhaps, he also thought that playing the trombone would even help to strengthen his chest and lungs. As a student, Gustav Holst was frugal. He never smoked nor drank. Since leaving home he had also become a strict vegetarian. But vegetarianism was not encouraged in his cheap lodgings in the 1890's. Since he was never given a completely nourishing meal, his eyes became very weak and his hand remained in constant pain. Yet despite all of the physical problems and his extremely shy and solitary nature, he was already showing an absorbing interest in other people. He hated conventionality and rejoiced in ideas he found fantastic or humorous. He enjoyed a good laugh.